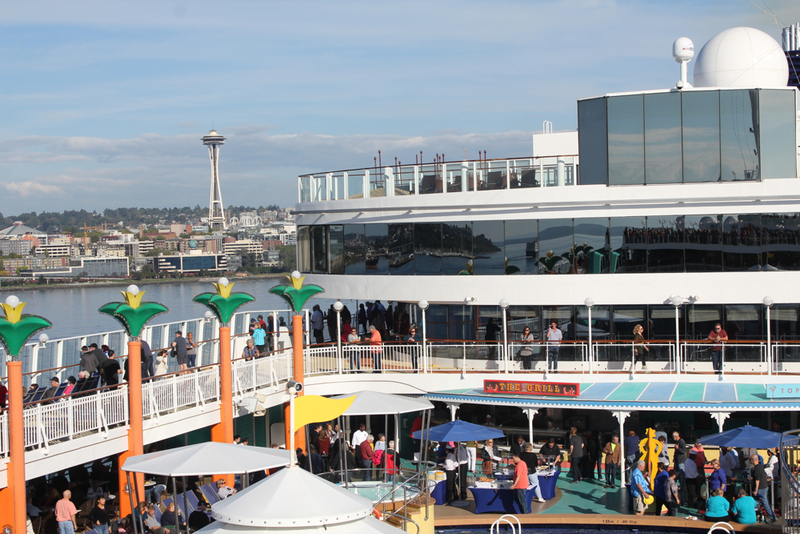 Seattle is one of the main embarkation and debarkation ports for cruises to Alaska – the other is Vancouver. I always recommend arriving to the port city at least the day before your cruise to explore some of the port city. 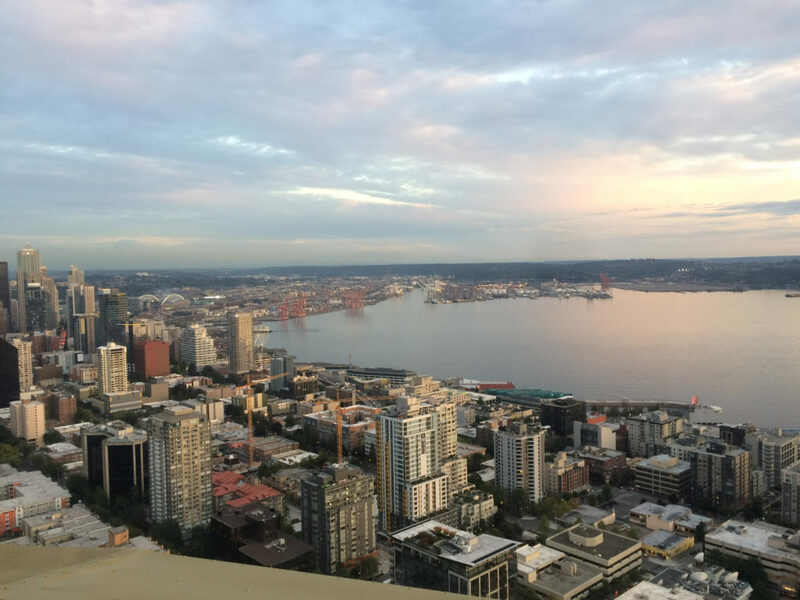 Seattle has so many attractions, that even a day before does not seem enough, but if you are game, you can definitely see many of the attractions there. It was tough deciding which to do this time and which to save for my next visit to this wonderful cruise port. Coming from the eastern part of the US meant that I could arrive relatively early in the morning and have an entire afternoon and evening to explore. Something to consider is the time change – yes, there are more hours in the day, but staying awake for those extra hours could be a challenge. I sucked it up and stayed up late and resisted the urge to take a nap, which I thought would be a recipe for disaster. From the airport there are many options, but since both of us had large luggage we decided that a shuttle into town would be the best option for us. We used Speedi Shuttle and found them reasonably priced and efficient. Our driver pointed out the highlights along the way to our hotel, The Edgewater. 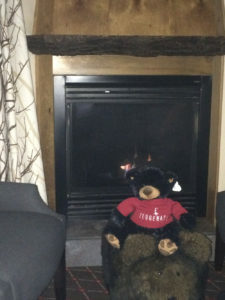 A welcoming bear on a comfy ottoman. As its name suggests, The Edgewater sits directly on the waterfront within walking distance of the pier and many attractions. A great surprise and the highlight of booking this upscale hotel – well worth the extra expense – would happen the next morning. After check-in, the thought of taking a nap reared its ugly head. After all, a 4 am wake-up call had started this day. 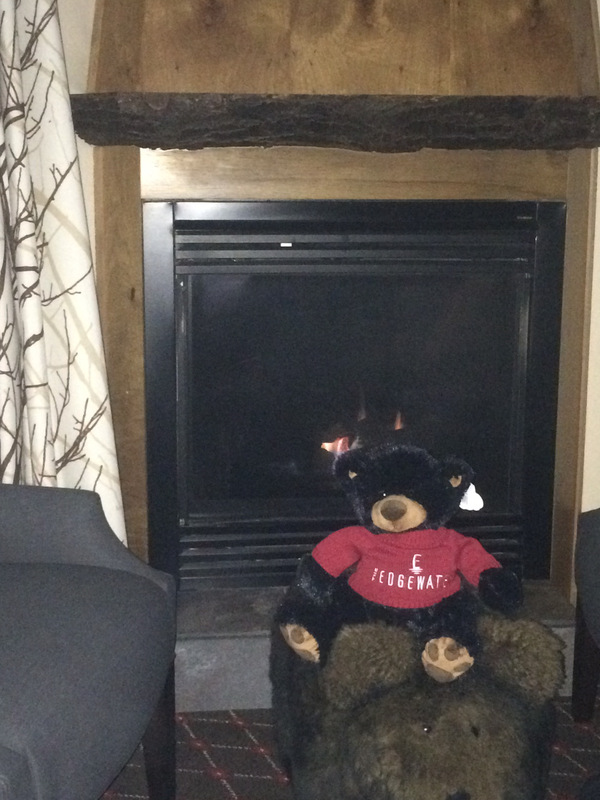 The hotel exudes a Pacific Northwest feel with its natural finishes and fireplace in the room and lobby. This really set the tone for the upcoming Alaska cruise and confirmed that the choice of this establishment was a smart one. 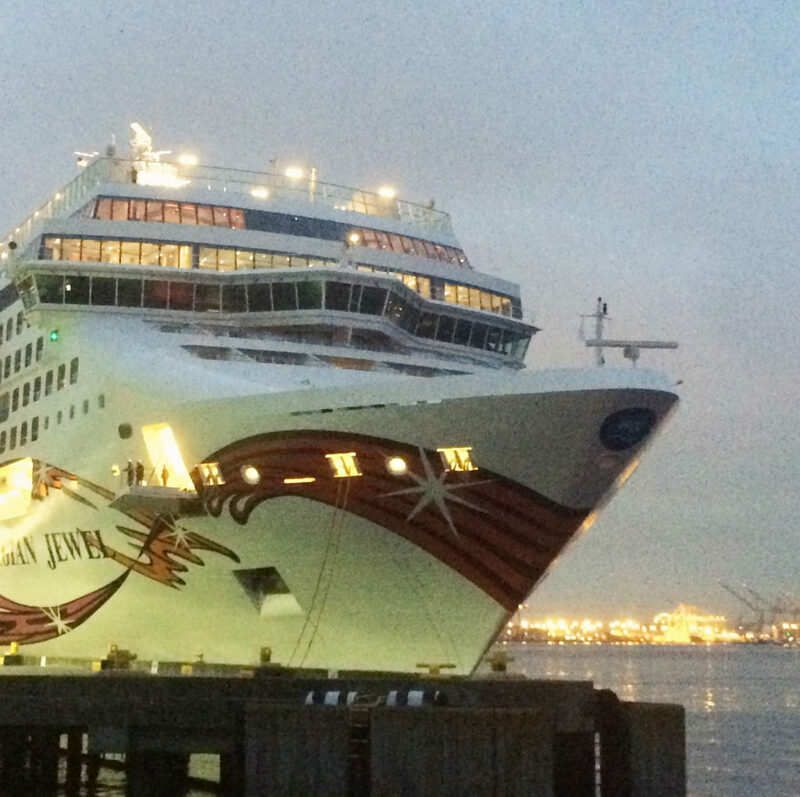 A real bonus was watching the Norwegian Jewel come into port and dock early in the morning. Resisting the temptation to sleep away the entire afternoon, we headed out to our first tour on our agenda. About a mile away from the hotel and an easy walk, the Klondike Gold Rush Museum connected the dots with its sister museum in Skagway. Although small, the exhibits told the story of this historic event and its significance to the importance of Seattle as a developing city in the late 1800s. Following the stories of those involved with the Gold Rush made the story come to life. After that visit, we headed to the Central Saloon, the oldest saloon in Seattle, for lunch. Lunch seemed like dinner, due to the time change. Following lunch, full tourist mode started. With just a few hours in town, I knew that I wanted to see as much as I could and that was one good reason to have a CityPASS. 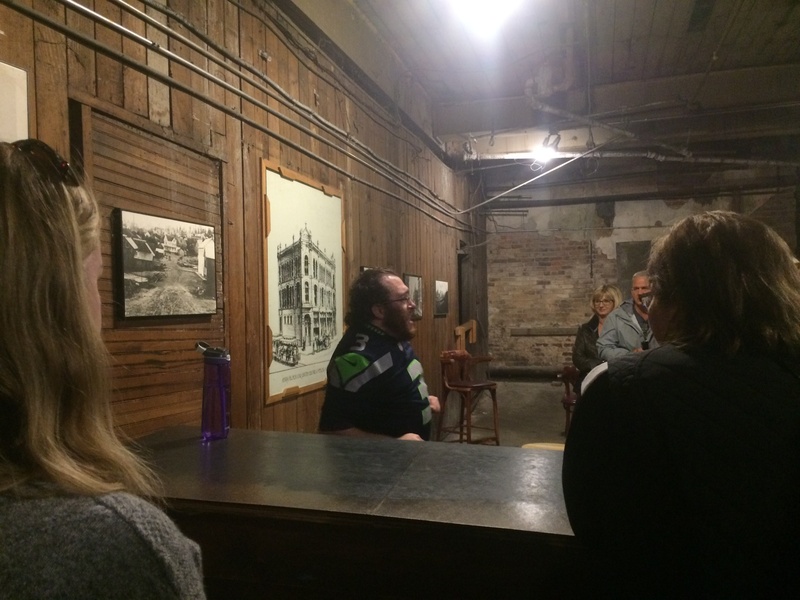 We went to the Seattle Underground Tour, which did take us through the bowels of the city. Seattle is a city built on top of a city. Who would ever have guessed? After a short rest at the hotel, I decided to use my CityPASS for more attractions, while my companion who had seen it all before, opted to stay at the hotel and rest. Rest? What’s that? I am one who is afraid of missing something. I also wanted to get on the ship relatively early the next day and realized that if I didn’t take advantage of the hours left in the day today that I would wear myself out rushing around to fit everything in the morning. 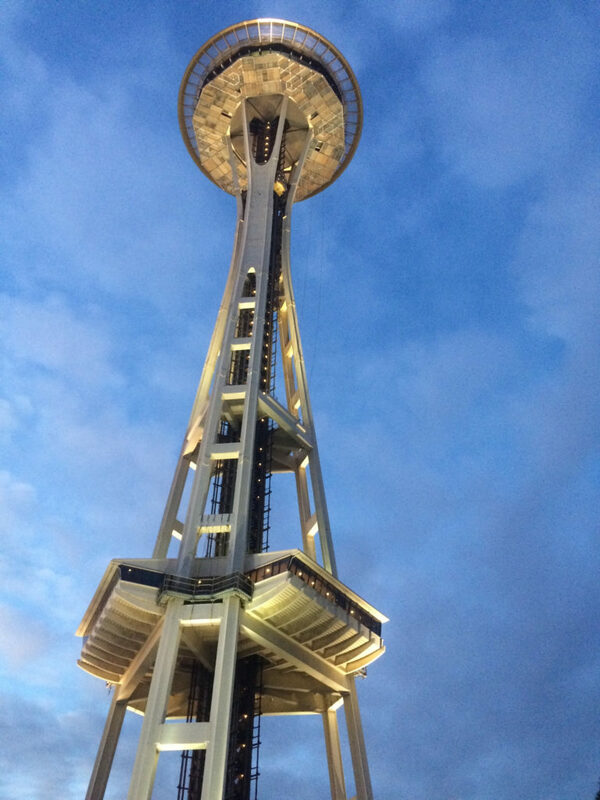 I changed my shoes and headed to the Space Needle and Chihuly Garden and Glass. If you go to the Space Needle, you will get a timed ticket. 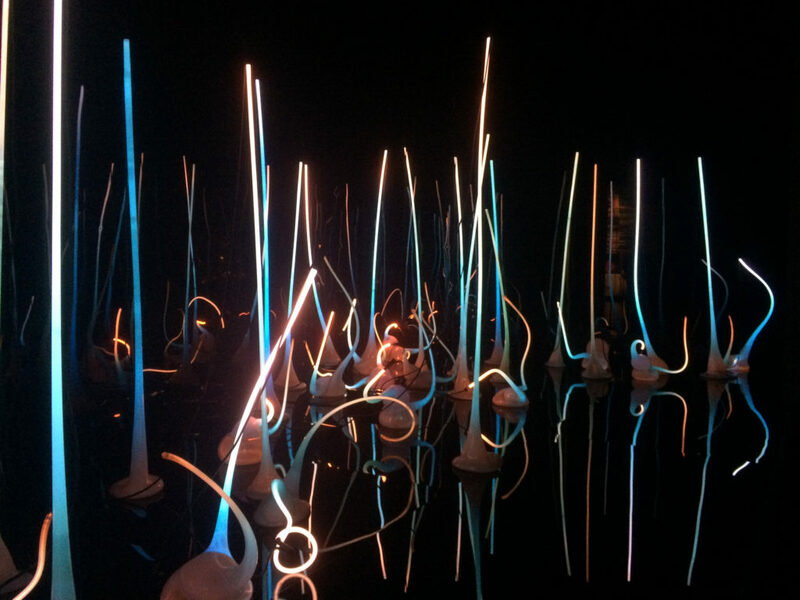 Being there late in the day, I rushed through Chihuly. Had I known better, I would have spent far more time at Chihuly because I found it mesmerizing. I definitely know better for the next time. Unlike my companion who had already done these, I could visit both attractions over and over again. After staying until closing time, I headed back to the hotel and figured out my plans for the next morning. It had been far too long since my last cruise and knowing that The Edgewater was so close to the port, I kept checking to see if I could catch a glimpse of the ship arriving into the port. Finally, I saw some lights in the distance that appeared to be those of a ship. I realized at this point that I had forgotten my binoculars – a most important item for an Alaska cruise. One of these days, I will actually pack like somebody who has traveled a few times in her life. I waited a short time and pulled open the drapes and was thrilled to see Norwegian Jewel making her way to the dock. What I hadn’t realized that when they said that the hotel was close to the dock, it really meant that I would have an excellent view of the ship docking. My hours of sleep suffered dearly, but it was definitely worth it for this view. The proximity of the Edgewater to Pier 66 made the embarkation process very convenient and simple. The bellhops from the hotel gladly loaded our luggage onto a cart and rolled it next door to the port. What a great benefit this was! After a quick registration, due to my Latitude status, we boarded and left our carry-on luggage in the room. After a quick lunch in Azura, we left the ship and headed to the Aquarium, one of the attractions on CityPASS. The Aquarium has both indoor and outdoor areas and was quite crowded on this day. Touch tanks kept the children involved and exhibits on the local waters engaged adults. We didn’t want the Jewel to leave without us, so we headed back to the ship in time for the muster drill. And don’t get me started on people not showing up on time for the muster drill!! The day was perfect for sail away and I could barely make out Mt. Rainier in the distance. My Alaska adventure started on a perfect note. Sail Away!